UPDATE: April meeting postponed until May 17th! Due to illness and some scheduling conflicts, we're postponing our discussion of Ursula K. Le Guin's short works to our May meeting, which will be held Thursday, May 17th, at 2pm. The readings will remain the same. On Thursday, April 19th, we'll get a taste for Ursula K. Le Guin's expansive body of work. 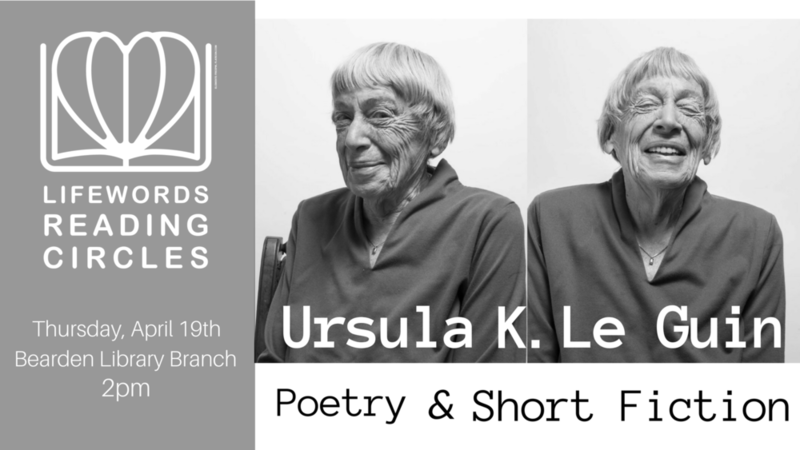 Our discussion will center on a handful of her poems and short stories, as we think back to our first encounters with the Scifi/Fantasy genres and determine how Le Guin's works about other worlds can help us think critically about our own. "In the Third Year of the War"
"The Ones Who Walked Away From Omaelas"
"Another Story, or a Fisherman of the Inland Sea"
Access to pdf copies of our readings can be found here. Audio recordings of the poems can be found here. This month's theme is "Death Becomes Us." 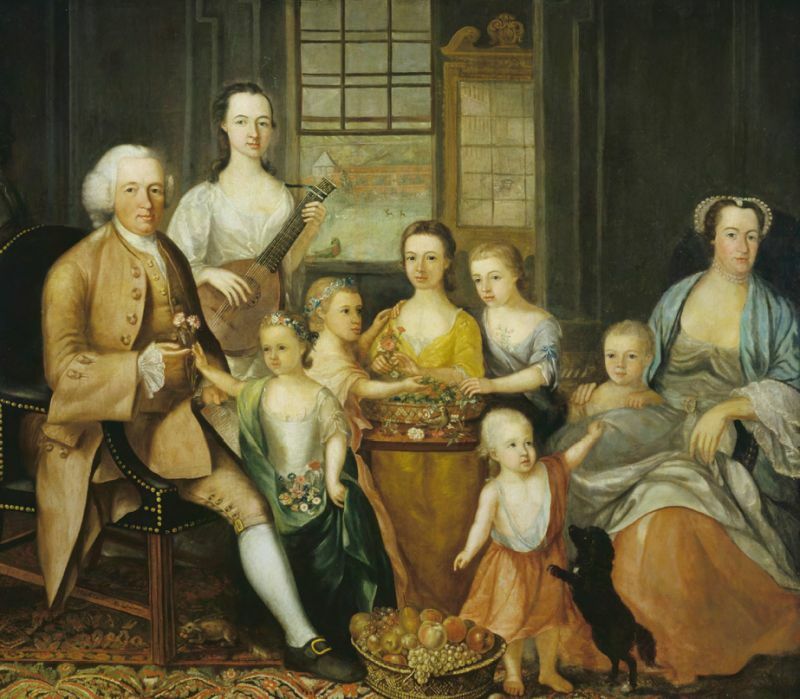 We'll discuss readings that get us to think about how families talk about death (or don't!) and how they behave toward each other at the end of life. - Excerpt from Roz Chast's Can't We Talk About Something More Pleasant. - Holland's "A Meditation on Death and Aging"
- Poems by Hal Sirowitz, Chen Chen, Alan Shapiro, and May Swenson. Click here to download course materials, or you can view them online below. Want to listen to the assigned poems while you read? Access them here. Joining us will be Jason M. Holland, PhD, who uses his background in clinical psychology to guide LifeSpark Weekly, an online resource providing "evidence-based strategies and tips on how to find meaning in life and discover new ways to improve yourself." We're excited to have him! 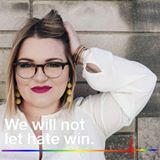 To get everyone excited about our discussion on The Girl Who Drank the Moon at our Bridge Summer Reading Program, we wanted to give a bit of background information about TGWDTM’s fabulous author, Kelly Barnhill. For someone who has an extensive repertoire of interesting odd jobs, it comes as no surprise that Barnhill is the author of such imaginative stories. In fact, she has previously been employed as a janitor, bartender, waitress, secretary, activist, park ranger, church-guitar-player, and teacher - all of which have given her experiences that help her tell the stories in her books. Her first published piece of writing (at least, according to her website) was an essay titled “Toy Soldier” that appeared in the January 2007 issue of Altar. Since then, she has published numerous short stories and novellas. Most notably, though, she is the author of seven novels (three of which are works-in-progress) and one novella. Aside from The Girl Who Drank the Moon, which was published in August of 2016, her other titles include Iron Hearted Violet (2012), The Mostly True Story of Jack (2011), and The Witch’s Boy (2014). She received the Newbery Medal in 2017 as well as fellowships from The McKnight Foundation, The Jerome Foundation, and the Minnesota State Arts Board. She is the recipient of the World Fantasy Award, the Parents Choice Gold Award, the Texas Library Association Bluebonnet, and a Charlotte Huck Honor. She lives in Minnesota with her husband, Ted, and three children. She is a self-confessed dog-owning cat person with a range of superpowers including superior soup-making and the ability to make people feel awesome about themselves. We are so excited to be reading one of her creations as a part of our Bridge Summer Reading Program!